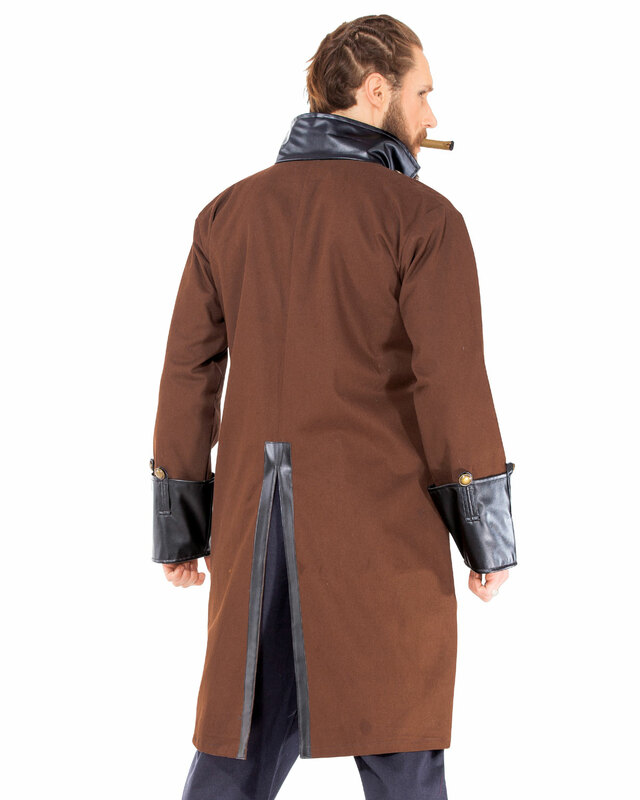 Authentic Steampunk History is what this awesome Victorian Chrononaut Coat is all about! The metallic buttons lining the front opening from collar to just below the waist along with the faux leather trim around the collar, down the front, on the wide bell cuffs, and even at the rear vent give this coat its steampunk charm. The 100% cotton heavyweight twill keeps the coat ultimately functional including pockets to hold all your tools and gears! 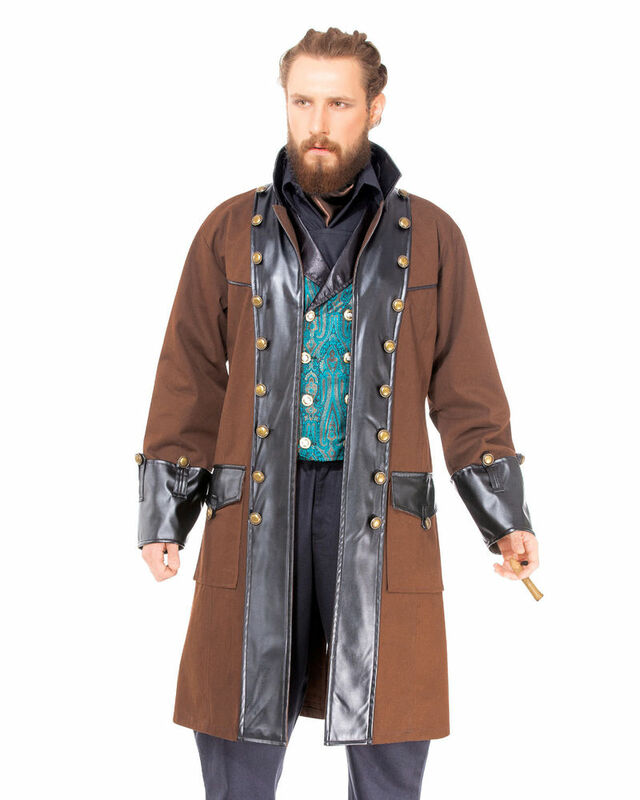 Whether you’re getting ready for a Gothic or Steampunk costume event or broadening your wardrobe this Gothic-Victorian-Steampunk Chrononaut Coat Costume will fit your needs perfectly! This awesome coat comes in two color options: Brown or Cream.